In Part A of this lab, students will learn about the different components that make up the cryosphere and where they can be found on Earth. In Part B, they will be introduced to some of the ways climate and the cryosphere influence one another, as well as how and why scientists study changes in our planet's snow and ice. In Part C, students will learn about some of the ways that humans, plants, and animals are connected to and affected by the cryosphere. In Part A: Students are introduced to the different components that make up the cryosphere. They will explore the National Snow and Ice Data Center's All About the Cryosphere website to learn about what the cryosphere is. They will then use a map of the cryosphere to learn more about where the cryosphere is. In Part C: Students watch the NASA video A Tour of the Cryosphere 2009, which takes viewers on a satellite-view tour of snow and ice around the globe. This video should help students understand that the cryosphere is highly variable on a variety of timescales and that changes in the cryosphere affect everyone's lives. To watch the NASA video, you may need to install or upgrade your computers' media player. Click here for additional formats and information about the video. For information on what players will work with your operating system, check the Science Visualization Studio's How to View Imagery page. NOTE: If students will be watching videos on individual computers, you may wish to provide headphones so that students will not be listening to videos over one another. Students will also begin to think about human connections to the cryosphere as they watch a short documentary video clip about how erratic snow, ice, and weather patterns in the Arctic are affecting the North Baffin Inuktitut community. 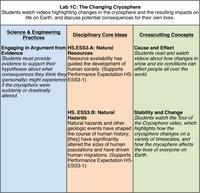 Finally, students are asked to consider how their own lives might be affected by changes in the cryosphere. In Part B: Set up all lab materials before students arrive. Be sure to familiarize yourself with the use of the temperature probes before teaching this lab so you will be prepared to help students who might run into trouble. Purpose of the discussion: In this part of the lab, students were introduced to the relationship between albedo and temperature. A discussion will help to expand upon this understanding, and to make the issue more relevant to students as they prepare to learn more about the cryosphere and its importance in regulating Earth's climate. Facilitation Tips: Write the primary discussion question on the board and give students three minutes to share ideas in pairs or to write in their notebooks before starting the full class discussion. 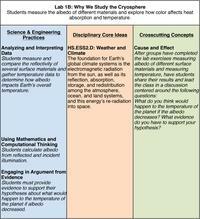 Primary discussion question: What do you think would happen to the temperature of the planet if the albedo decreases? What evidence do you have to support your hypothesis? What does it mean for albedo to decrease? What are some possible scenarios that could result in a change in the planet's albedo? What did you do in this lab that supports your claim about what would happen to the temperature of the planet if the albedo decreases? Wrap Up: The cryosphere is an important regulator and indicator of climate. Changes in the amount of snow and ice on Earth (increase or decrease) would alter the planet's albedo and could significantly alter the planet's energy balance and overall temperature. After the discussion, ask students to keep in mind what they have learned about albedo and temperature as they move on to the next part of the lab about the changing cryosphere. In Part C: Have students take notes during the NASA animation and documentary video clip, so they will be able to answer follow-up questions. Because most students are not likely to have studied the cryosphere before, some of the vocabulary may be unfamiliar. Direct them to the Cryosphere Glossary, which can be found after Lab 6 in the navigation bar on the left side of the student pages. Purpose of the discussion: The Tour of the Cryosphere video introduces a lot of new information about the cryosphere, which could be a little overwhelming for students who are new to the topic. A discussion will help students unpack what they have seen and heard in the video. Primary discussion question: What were the key ideas presented in the Tour of the Cryosphere video? What was something new that you learned from the video? What was something that confused you in the video? What were your reactions to the rate at which changes happen in the cryosphere? Were they faster or slower than you would have expected? 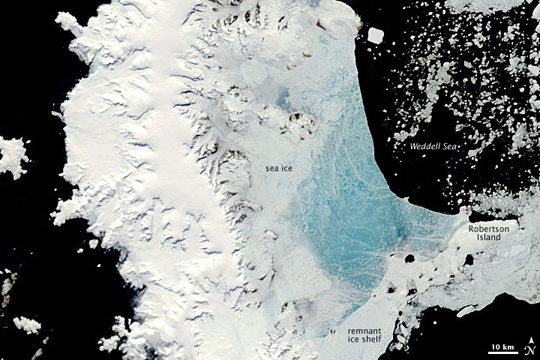 Wrap Up: Students may still have a lot of questions about the cryosphere—and that's okay! They have the rest of the module to answer them. Before moving on, it's important to make sure your students are getting the idea that the cryosphere is changing all the time, on a variety of time and spatial scales. Purpose of the discussion: In this lab, students were introduced to the cryospherea topic that is likely brand new and unfamiliar to many students, particularly those who live in a warm climate. This discussion is intended to help students think about how the cryosphere impacts all life on Earth, even for those who don't live where temperatures dip below freezing on a regular basis. How is your life currently affected or influenced by the cryosphere? What consequences do you think you might experience if the cryosphere were suddenly or drastically altered? What evidence could you use to support your hypotheses? Do you ever vacation in a snowy place? Does your community rely on glacier or snow melt for drinking water? Wrap Up: Everything is connected. Changes in the cryosphere can affect people all over the world[entity]even those who don't live in cold climate areas. 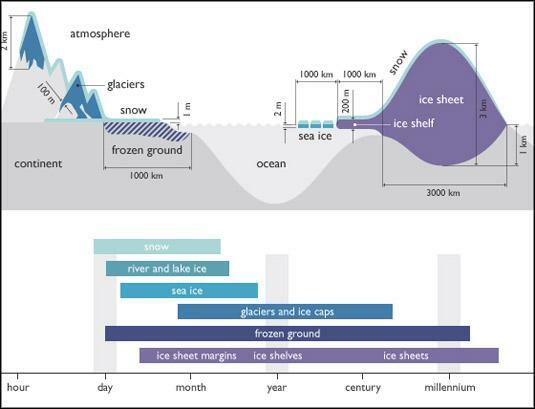 After the discussion, ask students to keep these connections in mind as they continue through the rest of the Climate and the Cryosphere unit. Have students write down the learning objectives for Lab 1. In Part A: Have students write down the definition of cryosphere. In Part C: Have students take notes as they watch the Tour of the Cryosphere and Eyewitness Documentary of Climate Change in the Arctic videos. Explore background information and content extensions related to Lab 1. Refresh your knowledge about Weather & Climate Basics. Use the National Snow and Ice Data Center's Education Center to find a range of information about Earth's snow and ice, from comprehensive "All About" sections to quick facts on popular snow and ice topics. Visit the National Snow and Ice Data Center's website for background reading about how Indigenous People and Wildlife are affected by changes in sea ice. For additional background information about climate changes occurring in the Arctic and what they mean for the Inuit people, watch, read, or listen to Sheila Watt-Cloutier's speech Inuit's Challenge in the Arctic. Read this National Science Foundation press release, Bering Sea Ecosystem Responding to Changes in Arctic Climate to find out how changes in ice and climate are affecting animal habitats and the health of Arctic ecosystems. When the Weather is Uggianaqtuq: Inuit Observations of Environmental Change: An interactive, multi-media CD-ROM developed by Shari Fox of the National Snow and Ice Data Center to share Inuit observations and knowledge about environmental changes. The CD-ROM includes maps, texts, photos, videos, and music, and can be ordered directly from NSIDC at no cost for educational use. Consider having students explore the Antarctic food web.